World Premieres by Cherkaoui and Volpi Stuttgart premiere by Goecke Evenings dedicated to MacMillan and Cranko. Artistic Director/Intendant Reid Anderson has announced the Stuttgart Ballet’s 2014-2015 Season. Highlights include world premieres by Sidi Larbi Cherkaoui and Demis Volpi; a Stuttgart premiere by Marco Goecke; mixed repertory evenings dedicated to Kenneth MacMillan and John Cranko; a revival of John Neumeier’s A Streetcar named Desire and tours to Bangkok, Singapore and Oman. The season will close with seven back-to-back performances of Marcia Haydée’s The Sleeping Beauty. The season opens in the Opera House on September 30th with Christian Spuck’s Leonce and Lena, a witty, biting and highly entertaining ballet based on the famous comedy by German playwright Georg Buechner. Buechner wrote his play as a social criticism, satirizing the fatuousness of the small German principalities dominant in the 19th century. The plot revolves around the Kingdoms of Popo and Pipi and the arranged marriage of Prince Leonce and Princess Lena – both of whom have never met. They flee their respective kingdoms only to meet at a wayside inn and fall in love. In the end, they can escape neither their destiny nor the inevitable boredom which will come with their duties. Spuck cleverly translates Büchner’s satire into dance, perfectly evincing the protagonists’ state of mind and inventing a hilarious movement vocabulary for the mincing ministers and dignitaries. Emma Ryott’s ingenious costumes and a wonderful, diverse choice of music ranging from the waltzes of Johann Strauss to songs by The Mamas and the Papas and Hank Cochran, make Leonce and Lena a perfect ballet for the whole family. In the more intimate Play House, the company will present the mixed repertory evening Dance Lab, a program composed of three highly diverse ballets, two of them new works by fledgling choreographers, which premiered on May 23rd, 2014. The evening opens with Douglas Lee’s Miniatures, a stunning, quick-silver work for six dancers which takes them to extremes in terms of their abilities and provides the audience with breathtaking, highly aesthetic contemporary dance. Louis Stiens’ High is a study of generational conflict, of teenage excess in the time of rave and techno parties and the inherent, pre-programmed accompanying tragedy. Katarzyna Kozielska’s A.Memory incorporates a mesmerizing scultpure by American artist Janet Echelman into her exquisite choreography, resulting in a unique visual experience for the viewer and providing the dancers with a completely new element with which to interact. December 2014 marks the 85th birthday of Kenneth MacMillan, a choreographer whose career was intimately entwined with the history of the Stuttgart Ballet and who created some of his most beautiful works for the company. To honor this special choreographer, the company will dance two of his most famous ballets, both of which he created for the Stuttgart Ballet: Song of the Earth and Requiem. The now legendary incident which led to the world premiere of Song of the Earth taking place in Stuttgart is quickly recounted: in 1965 MacMillan proposed the creation of a ballet to Gustav Mahler’s famous song cycle to the board of the Royal Opera House. His idea was rejected, the board reasoning that Mahler’s music was sacrosanct and not suitable for ballet. Dejected, MacMillan called his friend John Cranko, who was directing the Stuttgart Ballet at the time. Cranko suggested that MacMillan create the ballet in Stuttgart, giving him complete artistic freedom to realize his dream. The result was a masterpiece, a milestone of dance history and one of the first choreographies set to music which until then had been considered as “too good” for dance. Shortly after the world premiere in Stuttgart, Song of the Earth was taken into the repertory of the Royal Ballet, the Opera House board relenting in the face of such an obvious and highly acclaimed success. Following Cranko’s untimely and tragic death, MacMillan returned to Stuttgart in 1976 to create his monumental Requiem, set to Gabriel Fauré’s soaring music by the same name, in honor of Cranko and most especially as a tribute to all that Cranko had achieved in Stuttgart. Cranko’s beloved masterpiece Onegin returns to the Opera House stage, an event local audiences wait for impatiently, as each run of performances generally brings debuts in important roles. This will surely be the case in 2015, as new casts take on the challenge of depicting the tragic love story between the proud aristocrat Onegin and the shy country girl Tatiana whom Onegin rejects only to regret this decision years later when he re-encounters her and falls desperately in love. 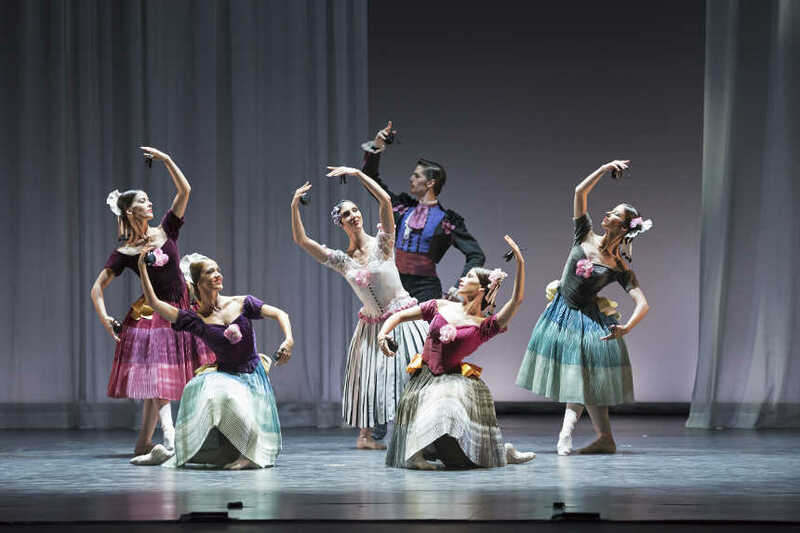 John Cranko translated Alexander Pushkin’s verse-novel masterfully into dance, creating intense duets for the two main characters as well as entertaining ensemble scenes which serve to enhance the story. Kurt-Heinz Stolze’s arrangement of Peter Ilyich Tchaikovsky’s majestic and sweeping music perfectly captures the drama and the heartbreak of Cranko’s ballet whilst Juergen Rose’s sets and costumes evoke the grandeur of 19th century Russia. 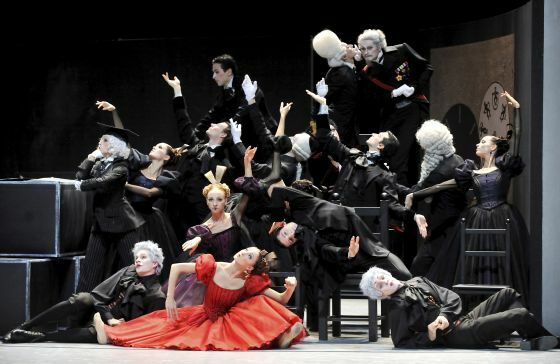 On March 13th, 2015 the most important premiere of the season will take place in the Opera House: the mixed repertory evening Stravinsky TODAY, featuring two world premieres and one company premiere all to the music of Igor Stravinsky, one of the most famous – if not the most famous – 20th century composers for dance. Artistic Director/Intendant Reid Anderson has commissioned a work from the internationally renowned choreographer Sidi Larbi Cherkaoui, who will create for the Stuttgart Ballet for the first time. Cherkaoui has let himself be inspired by Stravinsky, choosing one of that composers most famous – and earliest – dance compositions for his first encounter with the Stuttgart Ballet’s dancers: namely The Firebird. Costumes will be by the Belgian designer Tim van Steenbergen. Cherkaoui is one of the most exciting and prolific choreographers to emerge in Europe in the last decade. The son of a catholic Flemish mother and a muslim Moroccan father, Cherkaoui’s main focus has been on the exploration of cultural identity and the melding of highly diverse dance and movement styles. The Stuttgart Ballet is one of the world’s most prolific dance companies in terms of producing new work (over 80 world premieres in the last 18 years, including 7 full length works). The collaboration of Cherkaoui with the Stuttgart Ballet dancers – talent gathered from 22 nations – should prove to be highly fruitful. Once it became clear that Sidi Larbi Cherkaoui would choreograph The Firebird, Reid Anderson commissioned a further work to Stravinsky’s music – this time from Demis Volpi – newly named Resident Choreographer of the Stuttgart Ballet. Volpi has chosen another early work by the Russian composer: The Soldier’s Tale. Based on old Russian folk tales, the plot revolves around a soldier who trades his violin (and thereby his art) for a fortune, being tricked into the exchange by the devil. The soldier regains his violin, but the devil wins in the end all the same. For his new work, Volpi will once again collaborate with designer Katharina Schlipf, who created the spectacular sets and costumes for – among other works by Volpi – the hugely successful full length Krabat. Krabat broke all box office records, being performed 24 times in a 12 month period (March 2013 to March 2014) and selling at 100 % capacity. The final work of the Stravinsky TODAY evening is by Resident Choreographer Marco Goecke. Goecke created a piece to Stravinsky’s Le Chant du Rossignol for the Leipzig Ballet in 2009; this work will now enter the Stuttgart Ballet repertory. Goecke encounters Stravinsky: inspired by that unique composer, the in-demand German choreographer creates images and movements in his inimitable style, leaving the viewer once again with the feeling of having been initiated into a mysterious world of forbidding, seductive beauty. As it has done every year for over 50 years, the Stuttgart based Noverre Society will present its annual “Young Choreographer’s Evening” on March 25th and 26th in the Play House. Conceived as a platform for first-time or aspiring choreographers, the Noverre Society is the oldest – and most prestigious – such platform worldwide. Many famous choreographers created their first pieces under the auspices of the Noverre Society, including, among others, John Neumeier, Jiri Kylian and William Forsythe, as well as the younger generation which includes Christian Spuck, Douglas Lee, Marco Goecke and Demis Volpi. The bulk of the young choreographers chosen to participate are dancers of the Stuttgart Ballet who create their first works for their colleagues; in addition, the Noverre Society invites guests to participate. On April 30th, 2015, the premiere of the mixed repertory evening All CRANKO! will take place in the Opera House. The evening will combine four abstract works by Cranko, the founder of today’s Stuttgart Ballet. Although gaining world fame with his narrative, full length ballets, Cranko also created several one-act choreographic jewels, four of which have been united here. First, the lively, virtuoso Concerto for Flute and Harp, set to Wolfgang Amadeus’ Mozart’s eponymous music. Then the lovely pas de deux In Holberg’s Time, set to music by Edvard Grieg, which provides an exciting showcase for the couple performing it. Next, Opus 1, Cranko’s study on the eternal cycle of life from birth to death, set to Anton von Webern’s “Passacaglia”. Closing the program is Cranko’s one-act masterpiece Initials R.B.M.E.. Conceived as a tribute to his four muses Richard (Cragun), Birgit (Keil), Marcia (Haydée) and Egon (Madsen) as well as to the bonds of friendship, Cranko created a technical tour de force imbued with the soul and warmth which characterized him and his interactions with his dancers. Set to the four movements of Johannes Brahm’s spectacular Piano Concerto No. 2, Initials R.B.M.E. remains a challenge for any and all dancers, as Cranko poured all his creativity and imagination into the work, providing especially the four leads with breathtaking big jumps, turns, lifts and petit batterie. On May 30th, 2015, the Stuttgart Ballet will revive John Neumeier’s full length A Street Car named Desire for the first time in ten years in the Play House. Based on Tennessee William’s famous play and created for the Stuttgart Ballet in 1983, the ballet tells the story of Blanche Dubois, an ageing Southern Belle whose grip on reality becomes ever more tenuous when her brutish brother-in-law confronts her with her unsavory past. 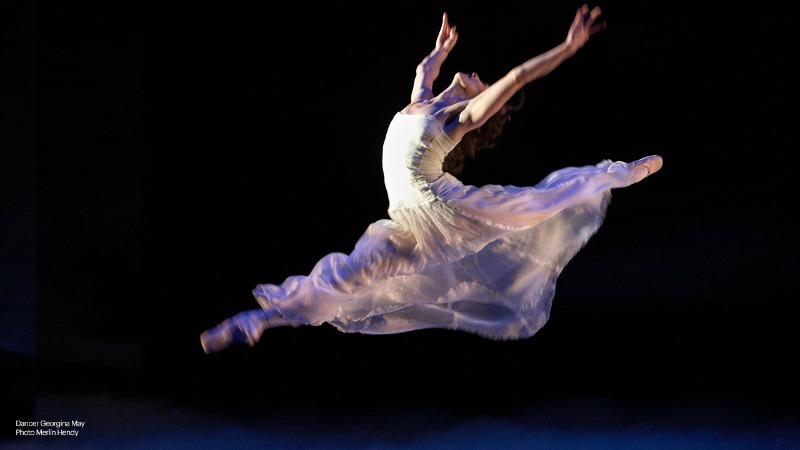 A tour de force role, Neumeier’s Blanche was created for Marcia Haydée and it remains one of the most coveted female roles in the company’s repertoire to this day. As always, Neumeier has meticulously interpreted the story and set it to fitting music by Sergei Prokofiev and Alfred Schnittke, creating a dance-drama which is deeply touching as well as disturbing. Stuttgart Ballet will close its 2014-2015 season with seven consecutive performances of Marcia Haydée’s celebrated production of The Sleeping Beauty. Created for the Stuttgart Ballet in 1987, this fairy tale ballet is not only one of the most beloved but also the most sumptuous, opulent production in the company’s repertoire with sets and costumes by legendary designer Juergen Rose. Haydée’s rethinking and reworking of the character of the evil fairy Carabosse gives the piece an added depth while all the technical challenges of the Petipa original remain to enchant audiences of all ages. 2015’s edition of “Ballet in the Park” will present The Sleeping Beauty as well as the annual performance of the John Cranko School. On Saturday evening, July 25th, 2015, the performance of The Sleeping Beauty will be broadcast live into the park directly in front of the Opera House where viewers can enjoy the performance for free. On Sunday morning, July 26th, the John Cranko School will dance a varied program showcasing its students from the first class to the graduating class. “Ballet in the Park” was instituted by Reid Anderson in 2007 and has become a hugely popular event in the city, especially for families who enjoy a picnic in the park whilst watching world class dance free of charge. Since 2012, “Ballet in the Park” has been underwritten in part by Porsche, the company’s main corporate sponsor. 2014 and 2015 will once again take the Stuttgart Ballet on international tours: in October and November 2014, the company has been invited to perform at Bangkok’s 16th International Festival of Dance and Music on October 25th and 26th as well as at the Esplanade Theater in Singapore October 31st and November 1st. In both cities the company will perform John Cranko’s Onegin upon the request of the presenters. In addition, Stuttgart Ballet will travel to the Sultanate of Oman for the first time. At the Royal Opera House in Muscat, the company will perform John Cranko’s The Taming of the Shrew based on William Shakespeare’s famous comedy on January 16th and 17th, 2015. Soloists Miriam Kacerova and David Moore as well as Demi-Soloist Constantine Allen have been promoted to Principal Dancers. Corps de Ballet members Elena Bushuyeva and Pablo von Sternenfels have been promoted to Demi-Soloists. Apprentices Elisa Ghisalberti, Paula Rezende, Joana Romaneiro, Agnes Su, Fabio Adorisio, Roger Cuadrado and Cedric Rupp – all graduates of the John Cranko School – have been granted corps de ballet contracts. In addition, Fernanda de Souza Lopes and Adam Russel-Jones have been taken into the corps de ballet. New apprentices are: Debora Lynn Davis, Kim Falke, Kira Hoffmann, Lindsay Karchin, Alicia Garcia Torronteras, Giorgia Vailati, Noan Alves, Flavien Mingot and Marti Fernandez Paixa. Two long serving principal dancers retired from the Stuttgart Ballet at the end of the 2014-2015 season: Maria Eichwald, who joined the company in 2004 (coming from Bayerisches Staatsballett) and Filip Barankiewicz, who joined the company in 1996 as a corps de ballet member and spent his entire career in Stuttgart. In addition, long-serving corps de ballet dancer Petros Terteryan, who joined the company in 2000, has also retired. Principal Dancer Evan McKie as well as Demi-Soloist Brent Parolin have left the company to join the National Ballet of Canada; Demi-Soloist Alessandra Tognoloni and Corps de Ballet dancer Edoardo Boriani will join Les Ballets de Monte-Carlo. Also leaving the company are Mariya Batman, Daisy Long, Ji Woo Kwon and Roger Arce Neves. For the last four years, the Stuttgart Ballet has been expanding its educational outreach program, which was integrated into the department for Dramaturgy and Communications. The success of all the projects and the rapid expansion, have called for “Stuttgart Ballet Young” becoming its own department, which will be led by Nicole Loesaus, hitherto coordinator for all “Young” activities. The 2014-2015 season will once again provide many projects and diverse courses for children of all ages and from all types of schools as well as their families. Highlights include a choreographic MOVE IT! Project for teenagers based on the same three works by Igor Stravinsky which the company will be working on, as well as a pilot project with young immigrants who are learning German and attempting to acclimate to life in Germany before being integrated into the German school system. This pilot project is being funded in part by the Ministry for Sciences, Research and the Arts of the State of Baden-Wuerttemberg. The John Cranko School is the official school of the Stuttgart Ballet. Up to 65% of today’s company are graduates of the school, including Principal Dancers Alicia Amatriain, Hyo-Jung Kang, Anna Osadcenko, Constantine Allen, and Daniel Camargo. Every year, the school presents two performances in the Opera House in Stuttgart – this year on July 12th and 26th, 2015. “Wuthering Heights” de Kader Belardi, es un ballet en dos actos que se añade a los clásicos, con argumento basado en la novela de Emily Brontë. Wuthering Heights ballet creado por el coreógrafo francés Kader Belarbi, esta basado según la novela “Cumbres Borrascosas” de Emily Brönte (1818-1848).